We are a club for ALL Women, whether a woman is new to the area or a long-time resident. 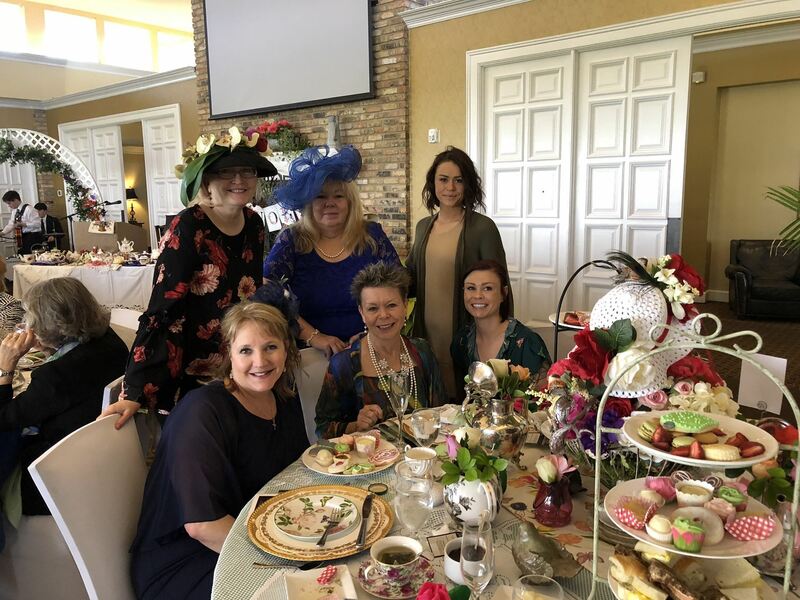 Our club is open for membership to women of Southlake and neighboring communities, including Colleyville, Grapevine, Keller, Trophy Club, Roanoke, Flower Mound, North Richland Hills and North Fort Worth. 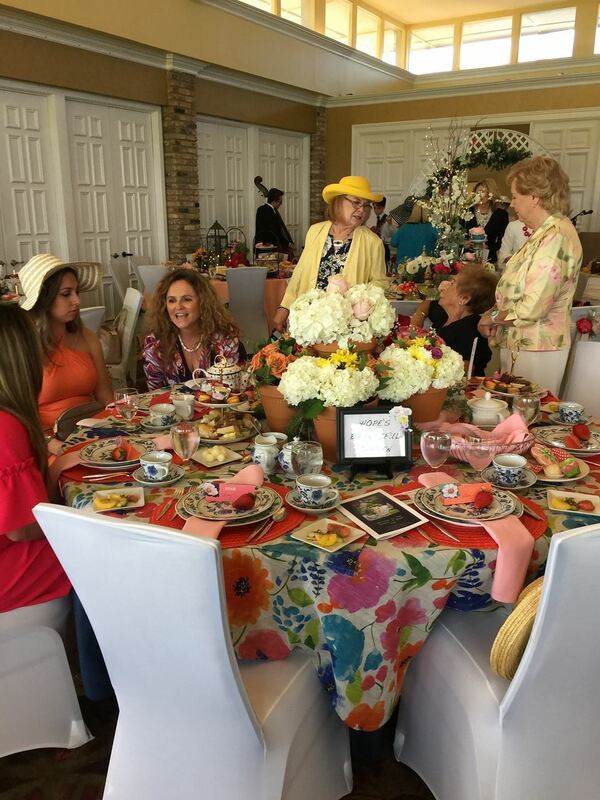 The organization's purpose is to provide women with assistance in getting acquainted with the Dallas/Fort Worth area, in addition to promoting social and local civic activities and most importantly, to give women the chance to make new friends. We offer women many interesting and fun activities, scheduled in the daytime, evenings or weekends, some including spouses. There is something for everyone in our club and we invite you to join us in the fun and in making lasting relationships with other women. We look forward to seeing you soon! The Southlake Newcomers' Club colors are Royal Blue and Kelly Green. Our flower is the Magnolia Blossom. ideas to create that special feel and look in your home. Menu: April brings in spring with a salad, ham, hash brown casserole, biscuits and gravy, asparagus and creme brulee. Monthly Charity: We are so pleased to have “Community Storehouse” as our charity for the month of April. Community Storehouse is the only children’s charity in Northwest Tarrant County focused on keeping children in the classroom while going through struggling times. Think of Community Storehouse as the first responders to any issues that threaten to interfere with a child’s success in school. Support can include tutoring, counseling, supply donations and even financial planning. They cannot do it without our help. Volunteers and donations are crucial to their program!! Click here for details on their needs. We're also collecting funds for our SNC Charitable Foundation Scholarships. We have many applications and not much money raised to award for the scholarships so your generosity with a tax-deductible donation to the Southlake Newcomers' Club Charitable Foundation or participating in the 50/50 raffle (drawing held in May) is very much appreciated! Meeting: This April Luncheon is also our Annual Meeting where we will be voting on next year's Board Members (nominees found in the SNC April newsletter). If you can't attend, you may vote by proxy by sending your votes to Carol Russo prior to the meeting. To sign up, you must register online HERE up until midnight Thursday, April 11th, and the cost is $24. 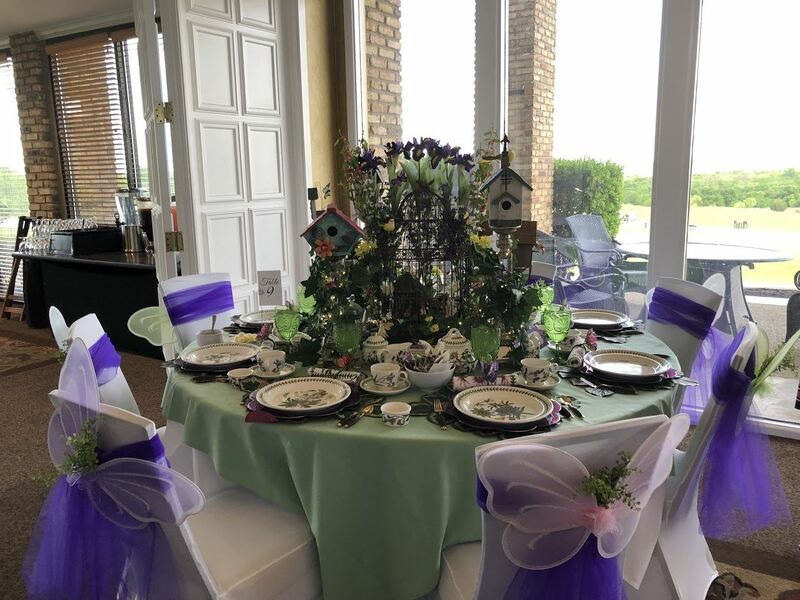 Simply click on "Monthly Luncheon" from the events calendar, register and pay online or mail your check for $24.00 made out to Southlake Newcomers Club to: Connie Losada, 802 Dove Creek Trail, Southlake, TX 76092. All checks must be received before the dinner. If you miss the online registration deadline, please contact Sabina Fusco by emailing her at sabinafusco293@gmail.com to register. The cost for the lunch then rises to $29 and can be paid by check or credit card the day of the luncheon at the door. Due to contractual obligations, lunches are non-refundable. You can contact Sabina with any questions at sabinafusco293@gmail.com. See you on the 16th and Bring a friend* ! *If your friend is a prospective member (not someone visiting from out of town), let us know and SNC will cover the cost of her first luncheon. 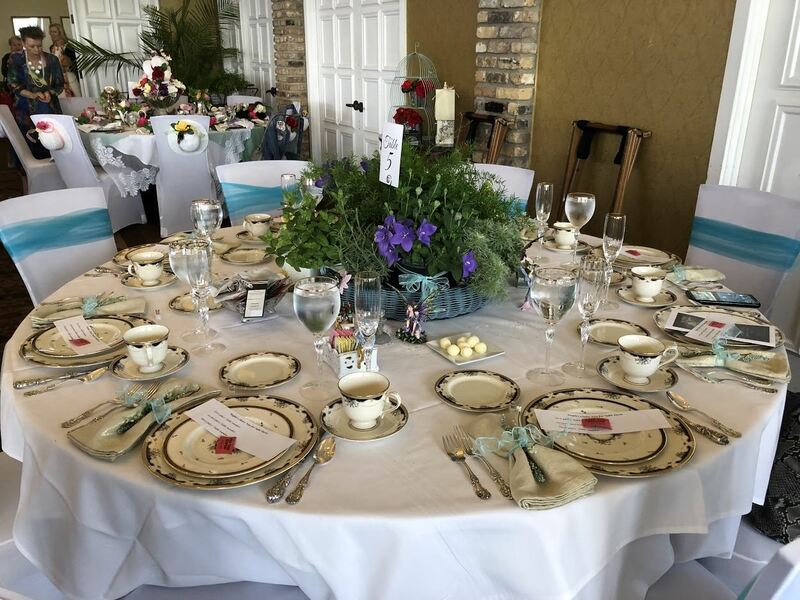 The 2018 SNCCF Garden of Hope Afternoon Tea and Fashion Show Fundraiser was a huge success. 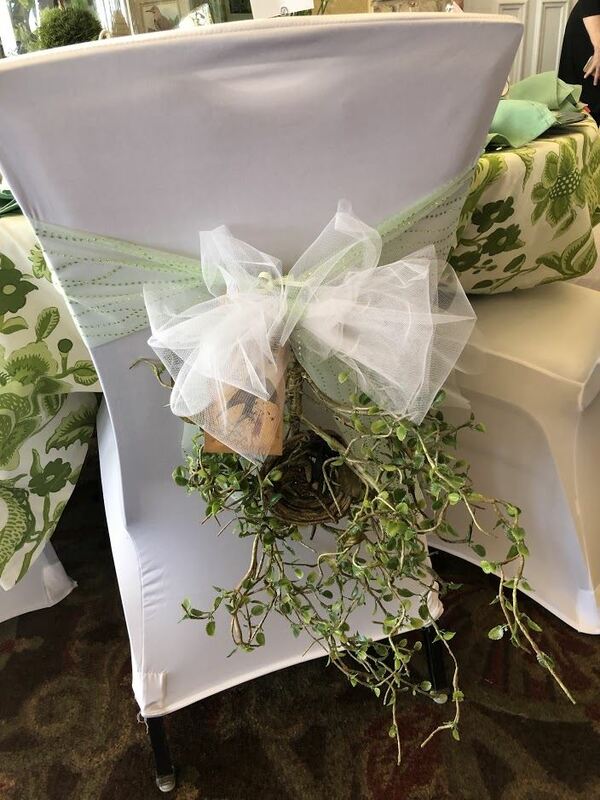 The table decor was amazing, our contestants went all out!!! We had a full house. Everyone dressed for Tea, many had fabulous hats! Our speaker was Lynda Sanders, all about Tea. Stein Mart brought wonderful fashions. 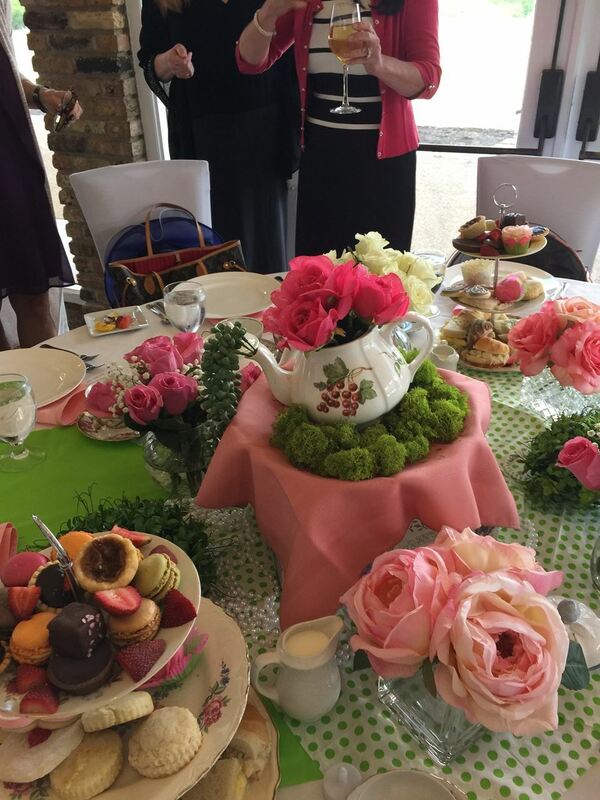 A traditional Tea menu graced the tables. The Fun and Fabulous Silent auction items helped us attain our giving goal. We are extremely grateful for our Sponsors, donors and volunteers. THANK YOU: All Star Orthopaedics, Corinthian Spa, AIB, The Stage Coach, The Thought Bubble, WFG Title, Landscape Systems and many more. Thank you Carroll High Jazz Trio for the fabulous music. We have never seen a room look more incredible, truly creative decor to embrace the theme. Everyone had a great time and helped us raise funds for Charity. We also want to extend a huge thank you to all those who attended, supported the auction and raffle. Because of you we raised close to $12,000 in support of I Can Still Shine, college scholarships and the Fusco Foundation. We do want to say Thank YOU to Trophy Club Country Club, a great venue for this event.